Dental Mavericks 5 Years on. A Celebration At Mount Toubkal. ‘Ouda’ was crying. 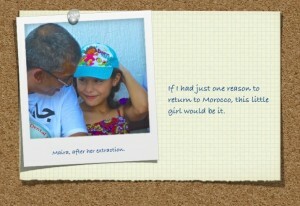 He and his mother had travelled a fair distance from the Rif mountains to see us. His face was swollen on one side, he was scared, and he was in pain. When he eventually allowed me to look into his mouth, all I could see were rotten teeth and an abscess. He was only 4 years old. I had to do something, and that something meant take out some of his teeth. But, he was so nervous and it was very likely that this was going to hurt him. But what choice did I have? There are no dentists here. Antibiotics and or painkillers may have helped but we tend not to administer them because of a risk of allergy. I knew I’d only have one chance so I had to guess which tooth was the most likely cause of his pain. And, with the help of his mother, I eventually managed to take it out. Despite making him numb, it did hurt. And I don’t think I’ll ever be able to forget his screams of pain. Add to that my doubts as to whether I had taken the correct tooth out, and, not for the first time during my travels to Morocco, I wondered why I do this. I didn’t think I would ever see him or his mother again. But, early the next morning, there they were. Ouda was smiling. At me! And his abscess had gone. The rest of his family were there too. To thank us. And they handed me some family photos as a gift. In a land where terms such as ‘digital’, ‘wi-fi’, and ‘social media’ are alien, photos are considered to be precious heirlooms, this was an incredible act of generosity. Despite always trying to treat the children painlessly, what we do can sometimes be unpleasant. And stressful. And each time I return to Morocco, I’m reminded of Ouda. Sometimes I doubt whether I could return, but I know that I will. Not just for the children because i know that there are plenty of other dentists that could easily replace me. And, in early May this year, so I did. 2015 marks the 5th anniversary of ‘The Dental Mavericks’. Ever since our humble beginnings in 2010, our efforts have begun to be noticed. We have now partnered with another charity, RifCom. And, most recently, we were invited to work with The Eve Branson Foundation located in a village called Asni, in the Atlas mountains. So there we headed. Our goal, as usual, was to help rid the local children of dental pain. Each year, we have a self-imposed rule: treat only those below the age of sixteen. The reason being that, without the benefit of radiographs, it’s difficult to know exactly what sort of treatment we’re committing to. But, each year, we break that rule. It’s difficult to turn people away. Especially when they’re in pain. An equally important part of our work is to deliver a strong dental health message. One based on emphasising the importance of diet and oral hygiene and its effects on the likelihood of developing tooth decay. But these are an impoverished people. They don’t have the luxury of choice when it comes to their diet. And it’s important that we recognise and respect this. Our efforts, therefore, tend to lean towards improving their oral hygiene. So, each year, we donate hundreds of toothbrushes and toothpastes. As well as providing fluoride treatment for all of the children. Our group this time numbered seventeen in total, of which five were dentists. For some, this was their first visit. And, despite being forewarned about the high levels of decay and pain that they would likely experience, they were clearly overcome with emotion. Just like the rest of us had, and continue to be. Over the course of the week, we set up our mobile clinics in two locations. Firstly in a local primary school and thereafter in the Eve Branson Foundation itself. And, by the end of our stay, we had treated 350 children. So our plan is to set up a permanent ‘teeth for life’ programme in the area. So far, we have two new dental units and a trailer for our growing pop-up surgeries which will make a difference in the delivery of pain free dentistry to the children of the Rif and Atlas mountains. Our next venture is to raise £10,000 to fund a purpose-built dental room. With that in mind, we decided to take on a special charity challenge. A fundraiser but without the ‘fun’. 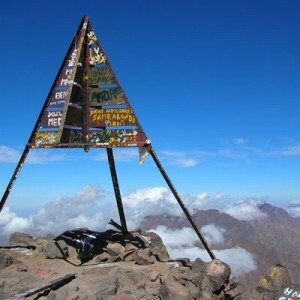 At a height of 4167 metres, Mount Toubkal is the highest peak in the Atlas mountains. And one of our team had the bright idea of climbing it. when asked if I would like to participate, I agreed. without really knowing exactly what I had committed to. Starting at the busy village of Imlil, at the foothills of the Atlas mountains, our team of 9 set off with our watchful guide, Khalid. Moments after we had set off, we were told that we would need crampons to complete our ascent. We’d only walked a few hundred metres. And I was already sweating, and tired. “Khalid, it’s 38 degrees here. Are you sure?” I remember asking. In my defence, we couldn’t yet see the peak of Toubkal. He slowly turned to me. And Paused before pointing upwards. How high is this place? I asked. A daft question because I already knew. “Four thousand, one hundred and sixty seven metres.” Khalid didn’t answer. That was the response from several other people in our group. It was said very slowly, as if to emphasise every inch. And it wasn’t said with a great deal of warmth. Crampons are not very comfortable. I wondered if mine had been put on upside down but I wisely kept that thought to myself. About half an hour later, we were ready and started to follow Khalid as he set a meandering path through the dry river beds of the Azzadean Valley. As we began to ascend, our path turned sharply upwards past the stunning waterfalls of Ighouliden. In whichever direction we looked, the scenery was stunning. The problem, though, was that the mountain paths were very narrow. And we were mostly walking over fairly large rocks or loose gravel. Both of which required very close attention. We very soon learned that you either walked, keeping a fairly close eye on the terrain, or stopped to admire the scenery. But not both at the same time. After about three hours, we climbed to over 2000m and several of our group began to feel the effects of altitude sickness. Dizziness and nausea being the most common. Fortunately, a brief rest and plenty of water were enough to alleviate them. The problem with stopping though was that, although we all looked forward to a rest, starting to climb again seemed that much harder afterwards. It was still hot. And the landscape, although still stunning, was by now becoming repetitive with no signs of reprieve. There was, by now, very little conversation amongst us. Yet, even here, hours away from civilisation, there was no shortage of encampments in which the local Berbers had made their homes. Everyday, we were told, they would think nothing of trekking up and down the mountain for supplies. and in all weathers. After a total of seven and a half hours, we reached ‘The Refugio’. Bearing an uncanny resemblance to Tolkien’s Helms Deep, this hostel was to be our resting place for the night. Although spartan in its facilities, it was a very welcome sight. It was very cold now and patches of snow were covering the ground. Khalid had decided on an early start the following morning. The plan was to complete the ascent and then walk all the way back to Imlil in one day. Setting off at 6am, the sun had not yet risen. It was still dark so torches were a must. Except for me, because I’d forgotten mine. Armed with our walking poles, we negotiated a mixture of terrains – snow, ice, rocks and loose gravel. By the time the sun had risen above the Atlas mountains, the peak of Toubkal was now in full view. I remember feeling conflicting emotions ranging between relief at being able to see our final destination and despair at just how much further and higher we still had to go. It took us about eight hours to reach the summit. But reach it we did. Although tired, the pain of our ascent melted away very quickly. Yet the view was enough to make it worthwhile. To be able to look all around us and look down upon the high Atlas mountains to one side and the Sahara on the other. The journey down presented its own problems. We all slipped. We all fell. But we all made it. I’ve never climbed a mountain before. Had I known just how hard it would be, on every organ and every muscle of my body, I don’t think I would have volunteered. But, after having walked for a total of 21.5 hours in 2 days, we had achieved our goal. I won’t say conquered Mount Toubkal. It was more of an honourable draw. But, now that the pain has gone, I’m glad I did it. This entry was posted in High Street Dental on 1st June, 2015 by admin. This entry was posted in High Street Dental and tagged charity, Dental Mavericks, Eve Branson, Morocco, pain free dentistry on 6th March, 2015 by admin. Iva made it to the top! FOR ME 2014 HAS BEEN A TURNING YEAR TO SAY THE LEAST. 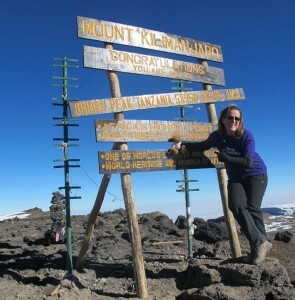 IN MID 2013 I HAD DECIDED TO CLIMB THE MOUNT KILIMANJARO IN AID OF RAISING FUNDS FOR THE YOUNG EPILEPSY, CHARITY CLOSE TO MY HEART. I CHOSE THE YOUNG EPILEPSY FOR A COUPLE OF REASONS BUT THE MAIN REASON BEING THE FACT THAT I HAVE SUFFERED FROM IT AS A CHILD HOWEVER THANKFULLY I GREW OUT OF IT. WHY MOUNT KILIMANJARO? IT WAS A HUGE CHALLENGE FOR ME TO OVERCOME AS A SIGN OF SUPPORT TO CHILDREN AND ADULTS SUFFERING THE CONDITION ON A DAILY BASIS. IN AUGUST 2014 I SET OFF WITH 24 OTHER THEN STRANGERS, NOW FRIENDS, ALL RAISING MONEY FOR THE CHARITIES CLOSE TO THEIR HEARTS. THE TRAINING WAS NOT EASY.WORKING FULL TIME AT THE HSDP, I WAS ONLY ABLE TO TRAIN IN THE EVENINGS IN MY LOCAL “ENERGIE” GYM IN THE WEEK AND EVERY WEEKEND I HAVE BEEN GOING FOR 8-13 MILES WALKS ACROSS THE SOUTH DOWNS. FOR THOSE OF YOU WHO KNOW ME I AM “ALL OR NOTHING” KIND OF GIRL SO WHEN PEOPLE ASKED IF I HAVE DONE ANY OTHER MOUNTAINS LIKE SNOWDONIA…. AND I ANSWERED NO I OFTEN GOT SOME WORRYING LOOKS. 8 DAYS SLEEPING IN A TENT WITH A COMPLETE STRANGER WITHOUT SHOWER OR BATH JUST A BOWL OF “WASHY WASHY” AS IT WAS CALLED (SMALL BOWL OF WATER AND BABY WIPES FOR THE WHOLE DAY) AND USING A PORTO LOO WAS ALL PART OF THE EXPERIENCE.THIS IS FROM SOMEONE WHO HAS NEVER DONE A DAY OF CAMPING IN HER LIFE AND GIVEN A CHANCE LOVES HER 4+ HOTELS. EVERY DAY HAS BEEN A FULL DAY OF TRACKING ,WALKING NO LESS THAN 4-5 HOURS BUT MAINLY AROUND7-8 HOURS .THE LOCAL PORTERS WERE AMAZING THEY LOOKED AFTER US IN THE BEST POSSIBLE WAY WITH 3 MEALS AND SNACKS EVERY DAY AND IF NOTHING ELSE BY SINGING TO US TO KEEP OUR MORAL UP ON A HARD DAY.DAY 1 AND 2 WERE HARD AS WE JUST KEPT WALKING,STILL TRYING TO ADJUST AND ALREADY YOU COULD START FEELING THE EFFECTS OF AIR GETTING THINER.THE BREATHING GOT HARDER AND MINOR EFFORTS BECAME MORE OF A TASK.DAY 3 WAS FULL ON HARD WORK AND I LOVED IT. WE CLIMBED UP THE ROCKS UP THE BARRANCO WALL IT WAS A FULL BODY WORK OUT AS YOU HAD TO LITERALLY GRIP AND PULL YOURSELF UP USING UPPER AND LOWER BODY STRENGTH. DAY 3 ALSO GAVE US A FIRST VICTIM OF ALTITUDE, LOVELY FRAN WAS TOO ILL TO CONTINUE AND HAD TO RETURN TO BASECAMP AND HOTEL.EMOTIONS HAD BEEN FLYING HIGH AS BY NOW WE WERE TIRED AND LOSING ONE OF US WHO WAS A STRANGER ONLY A FEW DAYS AGO , SEEMED LIKE WATCHING A FRIEND HAVING TO GIVE UP. SUMMIT NIGHT STARTED AT 11.30PM!! AND WITH A “SNAKE OF” HEAD TORCHES WE FOLLOWED EACH OTHER THROUGH THE DARKNESS TO OUR FINAL DESTINATION.THE AIR WAS SO THIN, YOU EITHER WALKED OR TALKED.EVERY BREATH WAS GETTING HEAVIER AND HEAVIER .TEMPERATURE HAD DROPPED DOWN SO MUCH THAT EVEN MY WATER IN MY INSULATED WATER BAG HAD NOW FROZEN.ALL THE YEAR AND A HALF OF TRAINING AND TIRELESS FUNDRASING HAD NOW COME TO ITS GOAL BEING SO NEAR. JUST WHEN IT SEEMED THAT THE NIGHT WOULD NEVER END WE CAUGHT THE GLIMPS OF SUNRISE APPEARING IN THE DISTANCE AS A SIGN OF POSSIBLE NEAR FINISH LINE.BY NOW I WAS REALLY STRUGGLING TO BREATH AS EVERY OUNCE OF MY ENERGY HAD BEEN USED UP.ONE OF THE GUIDES TOOK ME ASIDE TO ASSESS ME AND TOLD ME THAT THERE WAS ONLY AROUND 40 MIN TO THE FIRST SUMMIT POINT.I DUG DEEPER AND FOUND ENOUGH ENERGY TO CARRY.WE FINALLY REACHED THE “STELLA POINT” AT 5756 M AND THE ADRENALIN TOOK OVER.I HAVE NEVER FELT SO OVERWHELMED WITH PRIDE AND A SENSE OF ACHIEVEMENT. THE VIEWS OF GLACIERS WERE AMAZING. WE SOON AFTER REACHED THE FINAL AND HIGHEST PEAK OF THE MOUNT KILIMANJARO “UHURU PEAK AT 5985M. I HAVE NEVER CRIED SO MUCH FROM THE FEELING OF JOY AND SENCE OF ACHIEVEMENT LIKE I DID IN THE LAST FEW DAYS. WE WALKED BACK DOWN FOR 5-6 HOURS AND AFTER THE LUNCH WALKED FURTHER TO OUR LAST CAMP ,BEFORE THE NEXT DAY GOING FOR OUR LAST WALK RETURNING TO THE BASECAMP. I HAVE RAISED OVER £5600 IN AID OF YOUNG EPILEPSY BUT I HAVE ALSO GAINED THE MOST SPECIAL EXPERIENCE THAT HAS INSPIRED ME TO CARRY ON CHALLENGING MYSELF WHILE HOPEFULLY MAKING A DIFFERENCE TO OTHERS. AINT NO MOUNTAIN HIGH ENOUGH ….. This entry was posted in High Street Dental and tagged charity, dentist, Dream, Epilepsy, Reception, Trek on 22nd January, 2015 by admin. A lot has been written recently about a ‘new’ way to keep our teeth and gums healthy. ‘Oil-pulling’ claims to be a safe, effective alternative to traditional toothpaste and mouthwash. Western society is becoming more health-conscious. We are now, more than ever, beginning to read the labels of the foods and drinks we consume. People are beginning to realise that a lot of the so-called healthy foods contain harmful chemicals. A trend is beginning: to make smarter decisions about what we eat, drink, put on our body, and keep in our home. And on the back of this trend, ‘Oil-pulling’ has recently attracted a lot of publicity. The phrase “oil-pulling” comes from the process of the oil being “worked” in the mouth by pulling, pushing, and sucking it through the teeth. But it’s not a new therapy at all. It has its origins in Ayurvedic medicine. In fact, the Ayurvedic text Charaka Samhita — which is over 2000 years old — describes oil-pulling as a way to improve oral health and prevent bad breath. The procedure involves rinsing about one tablespoon of oil around in your mouth. As the oil hits your teeth and gums, bacteria are picked up as though they are being drawn to a powerful magnet. The longer you push and pull the oil through your mouth, the more bacteria are pulled free. Generally, about 10 minutes is enough, at which point the oil turns a milky white. Most microorganisms inhabiting the mouth consist of a single cell which is covered with a lipid (fatty) membrane. When these cells come into contact with oil they stick to each other. Different oils have been suggested such as sesame and sunflower oil, but these oils both have omega 6 fats that are pro-inflammatory, and most of us have too much of these in our diet as it is. Coconut oil is preferred because 50% of the fat in coconut oil is made up of Lauric acid. Lauric acid is very well known for its antimicrobial actions. It inhibits Strep mutans that are the primary bacteria that cause tooth decay. There is no question that oil-pulling reduces the bacterial load in the mouth. When you consider the fact that a clean mouth may have between 1,000 and 100,000 bacteria on each tooth, and those that do not have a clean mouth may have between 100 million and a billion bacteria on each tooth, surely oil-pulling can’t hurt? So how can oil pulling help us? About 85% of bad breath comes from the mouth. The rest comes from the gastrointestinal tract. Common factors that cause bad breath include gum disease, tooth disease, and a tongue coating. Some studies have indicated that oil-pulling is as effective as many mouthwashes in fighting bad breath. Gingivitis is caused by inflammation of the gums. One study showed that oil-pulling is as effective as over-the-counter mouthwashes in helping with plaque-induced gingivitis. While lots of people claim that oil-pulling whitens teeth, there isn’t any published research on this. It’s only anecdotal. A study in Canada found that oil-pulling had some benefits for those who have Sjogren’s syndrome, an autoimmune condition that damages salivary glands and causes dry mouth*. Some people have proposed that oil-pulling will pull impurities from the blood. However, our gums don’t seem to allow this kind of exit from the bloodstream into the mouth. So any oil in our mouths won’t come into contact with blood, nor will it “extract” anything from it. We are advised to swish the oil for about 10 minutes. Because of this, there’s a very small risk of accidentally inhaling the oil and getting lipid pneumonia (i.e. fluid buildup and potential infection). However, so far, all the research on oil-pulling hasn’t been exactly convincing. Most studies looking at oil-pulling are small, short, or incomplete. But that doesn’t mean it’s useless. It just means that the science isn’t there yet. My advice is that oil-pulling could be beneficial to our mouths. But it does not mean giving up on brushing and flossing. Oil-pulling does not reverse the effects of tooth decay. But how will you know if it’s actually made a difference? Try a before-and-after test. The next time you’re coming in, let us know if you’re considering oil-pulling. We (your dentist and hygienist) can then make a series of checks, record them and review on your next appointment. We can also help to see if oil-pulling is appropriate for you. If you have sensitive teeth or receding gums, it might be better for you to oil-pull only occasionally rather than daily. 1. 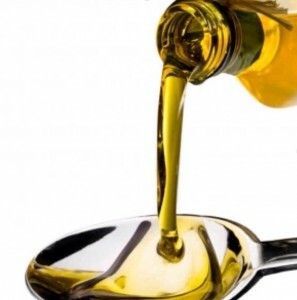 Take about a tablespoon of edible oil (such as sesame, coconut, or sunflower oil). 2. Put it in your mouth without swallowing. 3. Swish it around for 5-10 minutes. 4. At the end of the 5-10 minutes, spit it out. 5. Rinse your mouth completely with warm water. 6. Brush and floss your teeth as normal. This entry was posted in High Street Dental on 23rd June, 2014 by admin. Two years ago I completed the 56 mile London to Southend bike ride to raise money for the British Heart Foundation. Looking back it was great fun, a fantastic atmosphere and a great sense of achievement, once completed. At the time however, I wondered what the hell I’d signed myself up for! If you know me, you’ll know that cycling is not my friend. I tend to go at a snail’s pace, the gears baffle me, I wouldn’t have a clue what to do if I got a puncture, and I have been known to cycle into the back of someone , my Dad actually, it’s not ideal. With this in consideration, I must be mad, as on the 15th June I will be dusting off my bike yet again and squeezing into some rather attractive padded cycling shorts, in preparation for the 60 mile London to Brighton Bike ride, again for the British Heat Foundation. In all honesty, I haven’t practised that much other than a couple of 20-30mile leisurely rides, where I have been forced to stop off for a big pub lunch at a halfway point, and then meander on my way like a sack of spuds. This entry was posted in High Street Dental on 19th May, 2014 by admin. Dalmaira, or Maira for short, is 8 years old. And she’s in pain. From a horribly decayed lower first molar. She’s sat in our chair in our ‘MASH’ tent in El Jebba on a very warm Tuesday morning. I say our chair because I’m working with Amy, a dental therapist, whom I first met and teamed with last year. The tooth needs to come out. But did I mention that it’s horribly decayed? Anyway, Amy and I have developed an almost instinctive working relationship. One where we don’t need to prep each other about what to do, or say. We use our very limited pidgeon Arabic. Mix it with some French, Spanish, English and masses of body language, and we can communicate. So that ultimately, a language barrier isn’t a barrier. We go through breathing techniques with every child we see. We try to make them laugh. And most of the time, we do. Maira was brilliant. Not once did she flinch let alone get upset. But I couldn’t get her tooth out. It kept crumbling. Again and again. And I was struggling. Despite Amy’s help, what remained of the tooth was becoming less and less visible. Access was becoming more difficult and even though it was loosening, it wasn’t coming out. As our team were stopping for lunch, Maira was the only child still being treated. Richard Howarth, one of my dental muckers, came over to help. So did Chris Branfield. Another dentist friend who I met when I came out on my first Dental Maverick trip in 2010. They both offered advice as to the best instruments to use, as well as the technique. But I wasn’t succeeding. 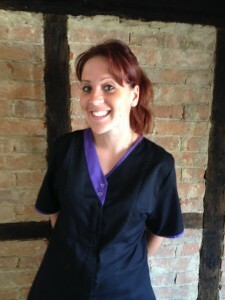 Laura, a nurse had come to help as well by now. And with her and Amy’s help, I drilled the roots to separate them. And Maira? Well, she was still perfectly ok. Despite the fact that she’d now been in the chair for about 45 minutes. Eventually, both Richard and Chris suggested that I take a break. I refused. I was tired, but this had become a matter of pride. After another failed attempt, I took stock. I was acting selfishly. Letting my personal pride get in the way of Maira’s welfare. So I asked Chris to take over. He did without hesitation and, shortly after he’d managed to extract the tooth. When Maira left our ‘MASH’ tent, she was met with a chorus of applause from the rest of our team. And she deserved it. I stayed behind. Feeling a mixture of shame and embarrassment. And as for having my photo taken with her, no chance! Anyway, I did. But only after others’ insistence. And I wonder why I do this. But, every year I see at least one child who manages to break through my testosterone impregnated guard. A child who demonstrates a strength of mind and composure that is so wildly unbecoming of their age that it fills me with awe. Last year, it was Ayesha. This year, Maira. And even though my memory is failing, I’ll never forget them. These are just some examples and they’re all equally worthy. In fact, I often use them myself. But, there is another ‘WHY’. One that I experienced in abundance this last week. And that is ‘Building Strong Relationships’. I consider many of our team to be firm friends. Even the newer Mavericks, as well some of our Moroccan hosts. And that’s priceless. According to recent research, having close friends you can count on has massive benefits for your physical and mental health. A strong social network can be critical to helping you through the stress of tough times. I believe that. Last week proved it to me. Later that day, I thanked Richard and Chris. Not just for helping me but for not pulling rank. I knew that they both wanted me to take a break. Let someone else try. But they weren’t insistent. Just supportive. And the reason for that is because we know each other well. We’ve become friends. This entry was posted in High Street Dental and tagged charity, Dental Mavericks, dentist, giving, Morocco on 9th October, 2013 by admin. When we were asked to write about our experiences of our Core Values, I immediately was hoping that Jas would be thinking/writing about the importance of ‘Embracing Change’, because then one day, maybe he will let me change his radio station…. I initially thought that I could write about ‘Spreading laughter’. In the short time being at High Street Dental practice I’ve spent many days in fits of giggles. I’ve witnessed Maggie sit on a non-existent chair at Reception, and grip onto the desk for dear life. I’ve witnessed Penny fall flat on her face running up the stairs with a box of instruments, and then try to pretend nothing had happened. I’ve referred to a tooth surface as a part of the female anatomy by mistake, and I’ve been involved in some of the craziest, funniest stories/conversations I have ever heard. All of the above has had me in stitches, and all because of being with a team that has a brilliant sense of humour! I have however settled on writing a piece on the ‘Wow Factor’, and the reasons why I believe The High Street Dental Practice has it. I thought ‘Wow’ when I very first went to the Practice to enquire about the Dental Nurse position I had seen advertised. The first thing that struck me was how friendly and cheerful the receptionist (Iva) was, and what a nice feel the Practice had to it- not the usual overly-formal, clinical, scary environment I usually associate with Dental Practices! At my interview, I was immediately put at ease by Lisa and Maggie- they were absolutely bonkers and absolutely lovely! I learnt a bit about the practice and the team, and I couldn’t have been more impressed. The fact that the majority of the team had been at the Practice for years and years (some before I was born!) I thought could only be a good thing. I was delighted to be called back for a second interview- at a bar!!! Wow!! WITH WINE!! DOUBLE WOW!!! Since working at The High Street Dental Practice there has not been a week gone by where I haven’t thought ‘Wow’ at some point. Just today I learnt that some of our patients not only have been with us for years and years, but they travel from as far away Kent, Cornwall and even France to get to us! That’s pretty special! It’s also lovely to see the rapport that the practice has with its patients-many come in and chat with us like they would with their closest friends, and even the most nervous of patients come out either smiling or laughing! It also amazes me the amount of charity work that the practice gets involved in, for example, The Children from Chernobyl as seen in the local newspaper, and Jas’s Annual trips to help the children of Morocco. Not to mention all the personal fundraising that goes on outside of the Practice by, for example, Jules (Tough Mudder) and Eva, who plans to climb Kilimanjaro for the Young Epilepsy Charity next year. Wow. I have been overwhelmed with the amount of support I have had from every single person in the team since starting in August. Always willing to teach, help and all went the extra mile in making me feel welcome. Overall….that’s a lot of Wow-age!! And I’m pretty proud that I work for The High Street Dental Practice, that delivers this so well. Dani. This entry was posted in High Street Dental and tagged charity, dentist, Trainee Nurse, wow, Writing on 21st September, 2013 by admin. This entry was posted in High Street Dental on 8th September, 2013 by admin. This entry was posted in High Street Dental and tagged Belerusian children, Chernobyl, dentist, fun, play, Smile on 4th September, 2013 by admin. This entry was posted in High Street Dental and tagged Clear braces, quick, Six Month Smile, Smile, straight teeth on 2nd September, 2013 by admin.